Women’s History Month takes place in March in the UK and USA, and provides the perfect opportunity to recognise and reflect on diversity and inclusion in the workplace. It is widely acknowledged that the gender gap in the STEM fields (science, tech, engineering, and math) is pervasive throughout the entire tech industry. Yet it is one thing to admit that closing this gap is recognisably the right thing to do, and entirely another to actually generate real change. 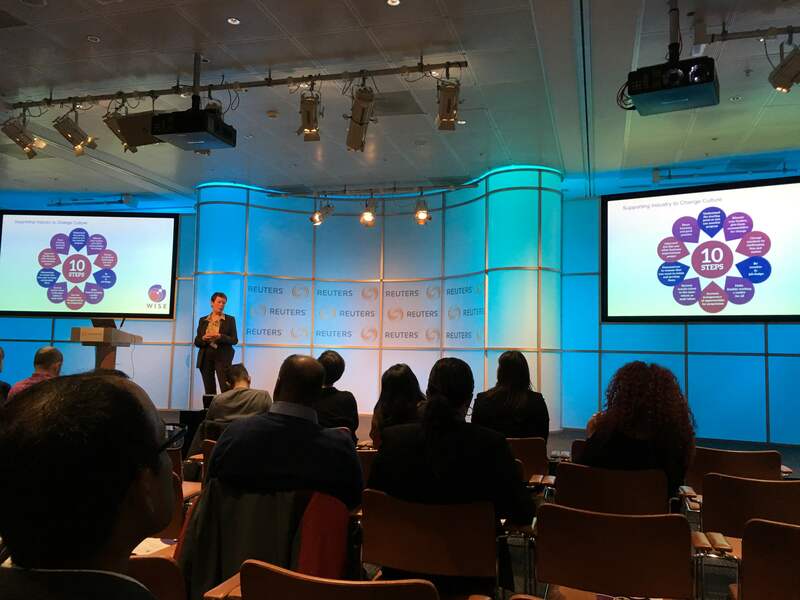 I recently attended an event titled “Diversity and Inclusion and Technology Trends” hosted by Thomson Reuters and BBC, which offered a refreshing take on a topic that often results in much talk and little action: the speakers provided the audience with actionable strategies that bring matters of diversity and inclusion out of the sole provenance of HR, and into the core of the tech industry. The phrase ‘diversity initiatives’ calls to mind stereotypical workplace efforts that deliver little in the way of substance: endless slide decks, patronizing skits, and badgering from HR representatives, rather than real-world tactics to achieve actual results. The topics of the day’s talks could not have been more different. Subjects ranged from tech-driven strategies to remove structural bias in hiring, to illustrative personal anecdotes about what it really means to be inclusive. The unifying theme of all of the presentations was that anyone willing to dedicate some time and effort could affect positive change in the realm of diversity and inclusion. All the presentations at the event demonstrated that there are multiple avenues to drive diversity and inclusion in the technology field, and all they require is time, intent, and engagement across multiple pillars of an organisation. Chris Burns, the COO of Design and Innovation at the BBC, shared a story about a senior employee whose pursuit of mentorship redefined her career. Her experience dovetailed neatly with presentations from representatives of WISE and DevelopHer, two organisations that promote fair gender representation and provide mentorship to young women with an interest in a STEM fields. Other presentations had a more technical bent. A speaker from Gap Jumpers – a consulting company that makes tailored applicant screening programs for clients – emphasised the importance of approaching diversity and inclusion as a tech problem rather than an HR issue. Outdated HR-driven policies – such as establishing quotas – are more likely to cement ‘in and out’ groups, and could easily be replaced by digital-age solutions. He demonstrated how technology can genuinely level the playing field in an organisation through the use of algorithms that would select quality applicants in order to avoid human cognitive biases. Rosie Campbell, a Research Analyst at the BBC, took a light-hearted approach the entire audience appreciated. She spoke about how using everyday language, as opposed to ‘tech talk,’ makes the industry more approachable to a wider range of people. Her point was amusingly illustrated with cat pictures to breakdown the heady subject of neural nets. 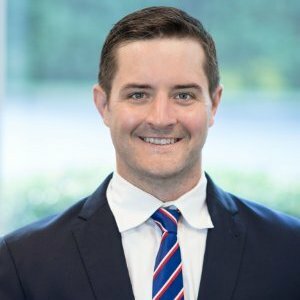 In the follow-up networking session, Chris Burns motivated attendees by telling us to ‘fail fast’ – that there was no single answer to closing the gender gap in STEM, but if you try 10 strategies and 1 of them works, then you are still moving in the right direction. What ideas could you introduce to your workplace? All the attendees hopefully walked away from the event with their thoughts turned towards their own organisations. Here at Wipro, we have a number of ongoing initiatives to increase diversity and inclusion within our own ranks, including sponsoring the International Women’s Hackathon and curating a selection of inspiring stories under the global Women of Wipro online community. I would encourage organisations to consider finding their own platform for sharing personal employee stories. This approach is a powerful way to start conversations about diversity and representation and urges everyone to consider the real people behind the numbers. Here’s an example from the Women of Wipro online community that profoundly illustrates the challenges a woman seeking a career in tech can face: the story of Tedlapu Krishnaveni, from the small village of Sarpavaram in Andhra Pradesh, India. In such a remote place, it is not only difficult for a girl to break into the tech field, but formal education often ends after her marriage at the age of 15. 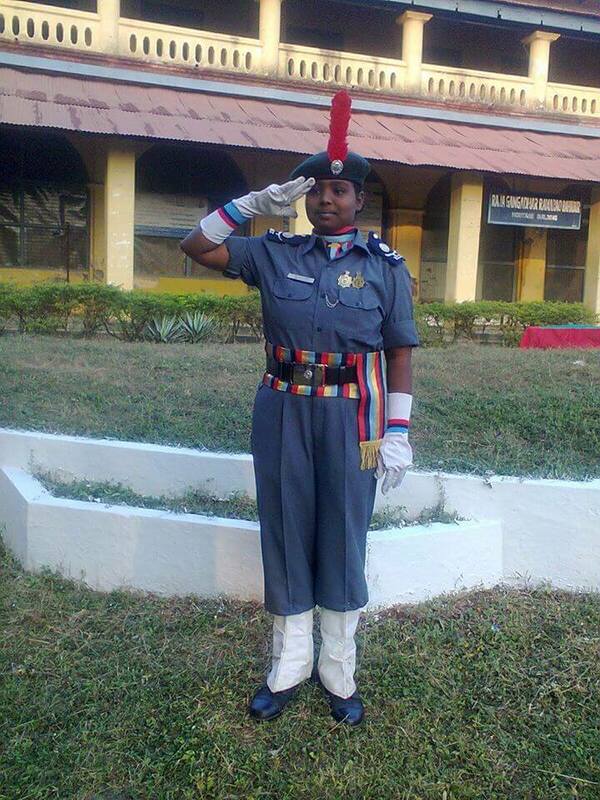 Through sheer perseverance, Krishnaveni didn’t just continue her education, she excelled at her studies, receiving a national-level scholarship and serving as the first female leader of her college’s National Cadet Corp unit in its 130-year history. She joined Wipro in 2015, where she now works in our Manufacturing and High Tech vertical. Yet Tedlapu managed to beat the odds. Her story, and others like it, show the need for the kind of real-world strategies presented at the event: we can all be responsible for ensuring that women, be they from Andra Pradesh or New York, know they can find a home in the tech industry.